We invite you to stay with us. Our RV park is the perfect locale to use as a home base as you tour the area. Stay awhile and enjoy the taste and feel of the Napa Valley. Enjoy our year-round Exposition activities too. Location, location, location! This small RV park is located right in the middle of the city of Napa. Within easy walking distance to all of downtown Napa’s tasting rooms, restaurants and shopping. Very clean with all concrete pads and large grass areas in between sites. FHU utilities are centrally placed and functional. The park has no bells or whistles. WiFi is available but very slow. A single bathhouse/laundry room is tidy, otherwise there are no other amenities. No pool, spa, playground, BBQ or cable TV. Onsite camphosts are friendly and efficient. Only real negative is road noise from adjacent Silverado Trail which is loud. It is pricey for an RV park with limited amenities, but considering it’s location and what you’d pay for a hotel here it’s a bargain. Convenient walk to downtown Napa: Uptown Theater, Silos Blues Café, Napa Opera House, Napa Wine Train, Oxbow Public Markey. Also very bicycle friendly with river path and Vine Trail access. We found the park hard to find because there was no signs. There was no store and when we asked to purchase ice, we were told there was a Shell station down the road two blocks. The only landscaping was grass, they want you to pick up after your dog but there was no dog bags available nor was there a dog run to use. We were not escorted to the site. The manager pointed to a vacancy and told us that was where we were to park but that the sites were not numbered. Bathrooms were really dirty and there is no cable TV in the park. When I questioned these things the manager seemed defensive about the situation. (not his fault). Who ever rates parks in the Napa area has not been here. This park is rated 9/10/9.5. Should be much lower. I just spent a week here and thoroughly enjoyed my stay. 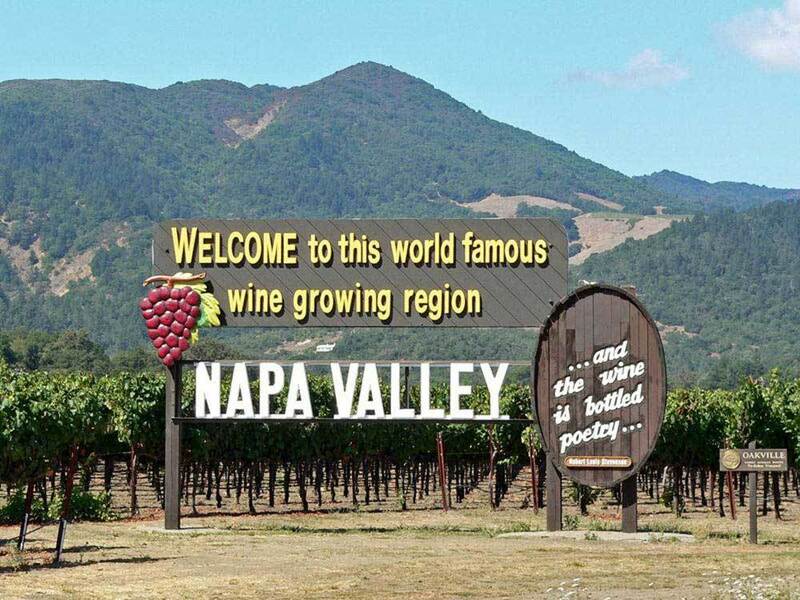 The park is fairly centrally located in Napa, so if you want to explore the town, you are in an ideal location. The office is fairly hidden, but the people are very nice, the park is immaculate, the showers are good, but each one is slightly different. Grocery stores are within 3 miles, and there a lot of great restaurants to try! I would return. We stayed this past weekend for my wife's birthday..me, her , our son and our two dogs. We travel in a 35 foot 5th wheel toy hauler PROS: Clean Large concrete pads Large grass areas between sites No trees ( our 5th wheel toy hauler tends to hit every branch possible ) Close to everything ( downtown / close drive to wineries ) Camp Host was pleasant and helpful CONS: No trees ( no shade ) Street noise from Silverado Trail ( we were in the back sites next to the road ) not unbearable but its there Entrance can be tight for some to enter Not a resort...nothing to do at the rv park ( we were gone most of both days we stayed so not a issue ) We would definitely use this park again. This is a clean site, the park host is very helpful and efficient, and the lots are easy to get in and out of. They're each bordered by very nice grass and the hooks ups are neat and clean. I would describe this RV park as "tidy" but not particularly "homey." It's good if you just need a place to put the RV while you're out and about the area. It's safe and well maintained. I wouldn't want to just hang out here, but there's nothing wrong with this park. The spots offer a completely paved pad to roll onto. This makes parking so much easier than having to level. We especially appreciated the recycling bin and trash bins right out front of the lot. If you have dogs, like we do, ask for one of the corner lots located at the front. They have fairly large green areas to walk the dogs. They welcomed our dogs easily which we appreciated. The lots aren't very private as there are few trees between lots and rows. Feels a bit like a fishbowl, but it was good for what we needed. For us this was a bit of a drive from the wineries we wanted to visit, but close to others you may like. If you're heading to the Expo, this is ideal. This is a good RV park, but not a place we'd want to spend more than a few days because we prefer sites that have a little more recreation opportunities within walking distance. The only con is that it's right off a busy road. If you are situated in the front, you'll hear all the cars and trucks going by. It's a minor annoyance and wouldn't deter us from coming back.